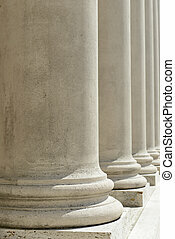 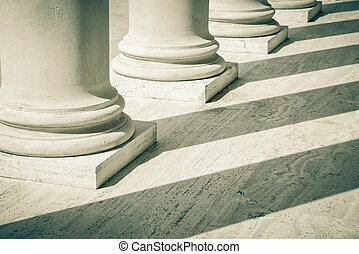 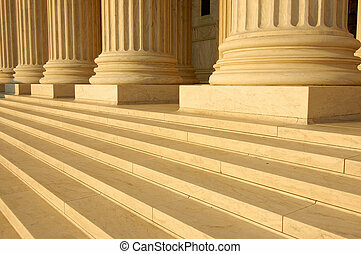 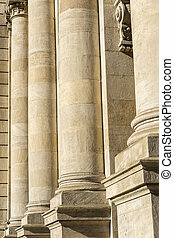 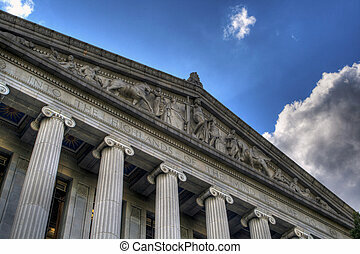 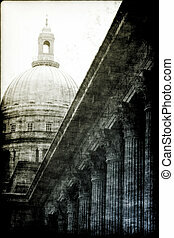 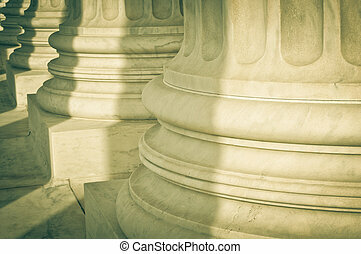 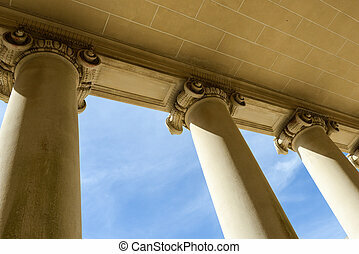 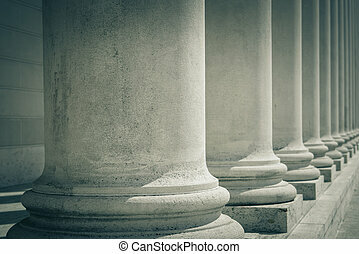 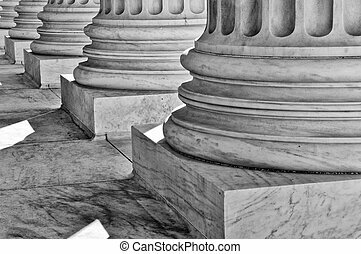 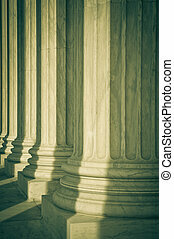 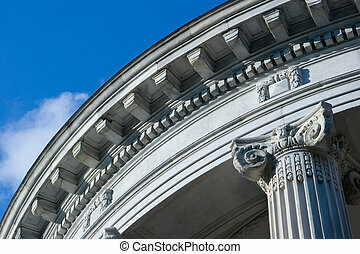 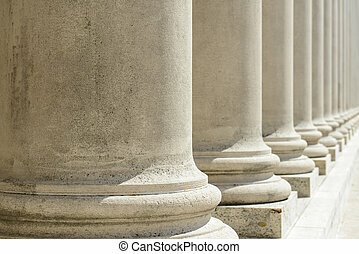 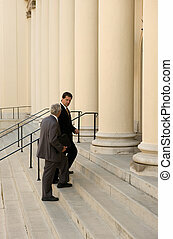 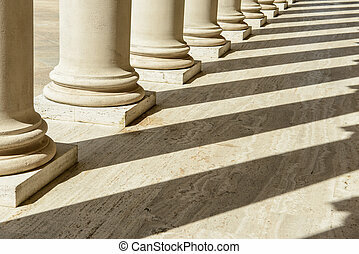 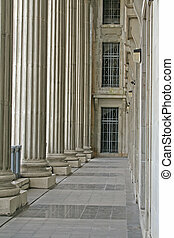 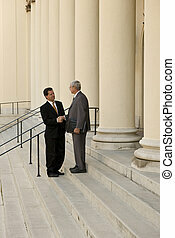 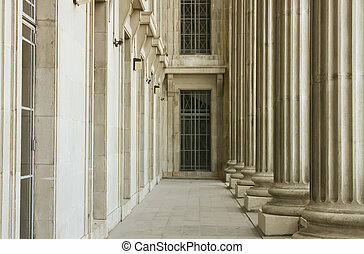 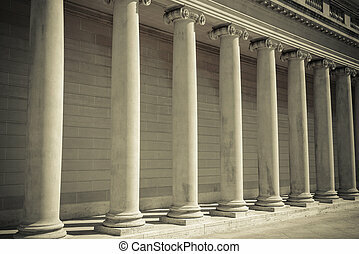 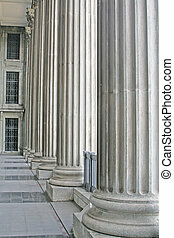 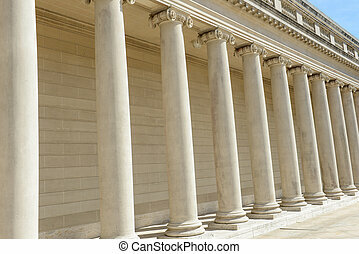 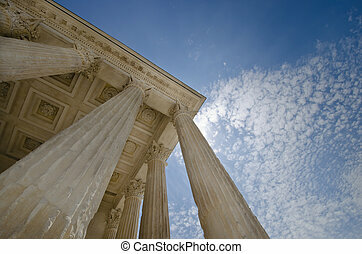 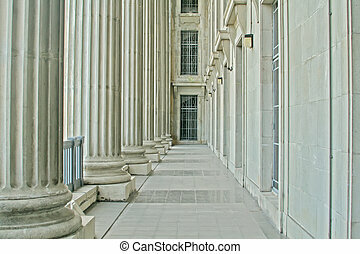 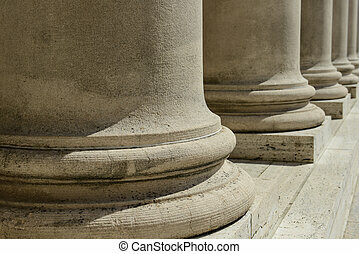 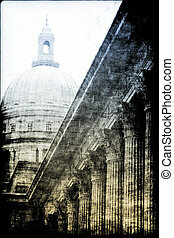 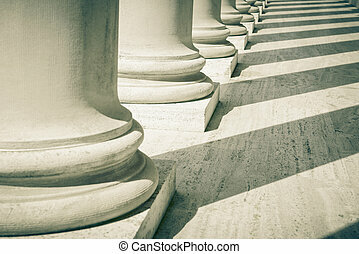 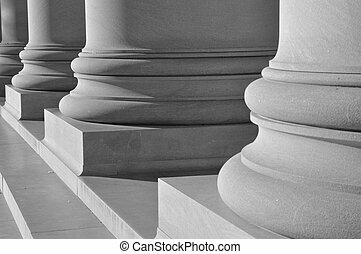 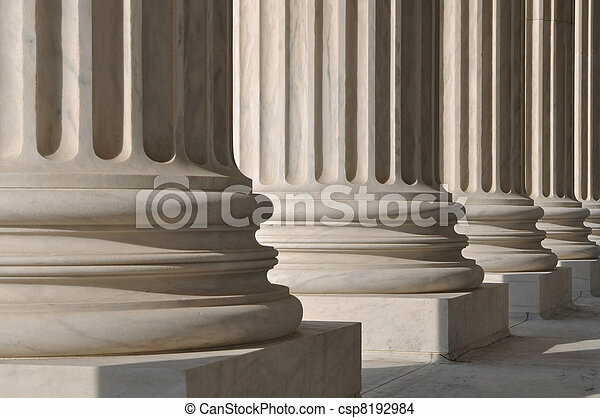 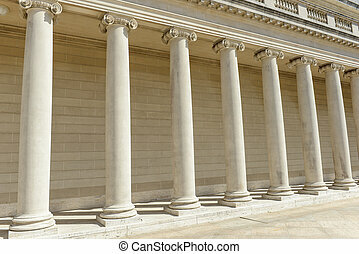 Pillars of law and justice. 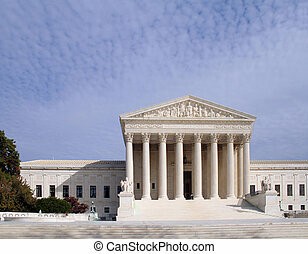 The Supreme Court of the United States in Washington D.C. 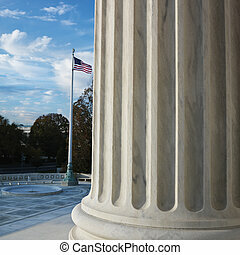 Column of Supreme Court building with American flag in Washington DC, USA.